The BCG event „Crack the Case“ is here! Do you want to prepare for a consulting interview? 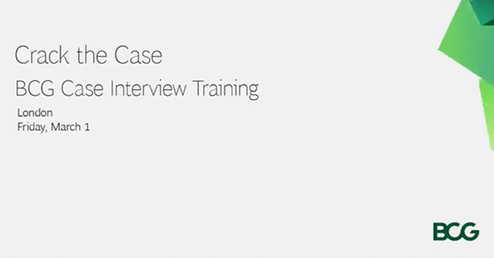 Take part in the BCG workshop and try out a case interview with one of our consultants. And when should you come? The Crack the Case takes place on Friday, 1.3.2019, 16:30-23:00.